Keep updated with the latest news about computer safety. To get information without wasting more time than needed, we present the latest News app by Ontinet.com, where all news related to computer safety will be displayed in a centralized way. 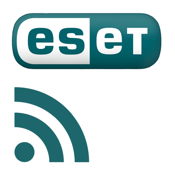 They will be posted by Ontinet.com, ESET partner for Spain. - Universal/Multi-platform app (iPad, iPhone). - Intuitive and user-friendly interface. - Content from blogs, news, YouTube, Twitter, etc. - Once the pieces of news are loaded, they can be read offline. - Tool for “Mark as read” news. - Tool for changing text size of the news. - Possibility of sending the news by email easily. - Possibility of receiving remote reports with the number of new pieces of news since the last time you opened the App. - Possibility of printing the news (with AirPrint).